Rescue workers search the capsized M.V. Miraj 4 ferry on the Meghna River in Bangladesh on Saturday. 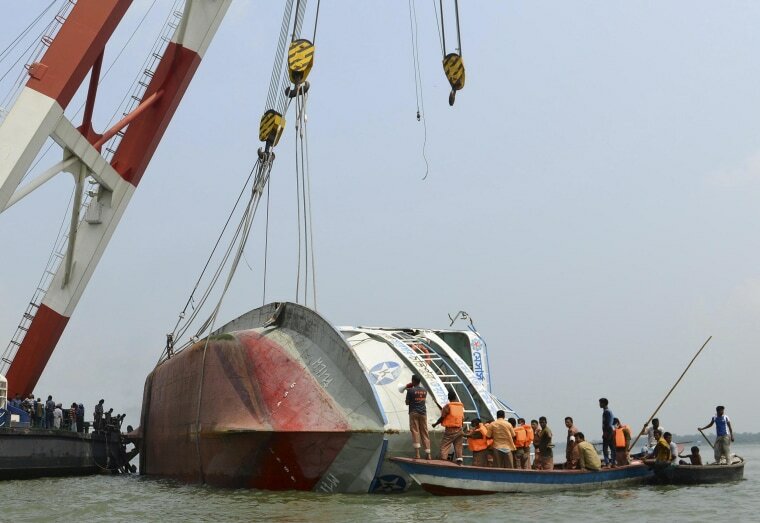 Workers in Bangladesh completed the search of the ferry on Saturday, bringing the number of bodies recovered to 54 two days after the vessel capsized with around 200 people on board. Bangladesh has a history of ferry disasters, with casualties sometimes running into hundreds due to overcrowding and lack of enforcement of safety standards such as numbers of lifeboats. In March 2012, a ferry sank near the same spot, killing at least 145 people.